Complaining about the weather has become a regular conversation starter, especially with Perth recently experiencing its wettest September in 40 years. But with some warmer weather on the horizon, now’s the perfect time to start planning your next camping adventure. Luckily for Western Australians, this glorious state caters to all camping preferences. 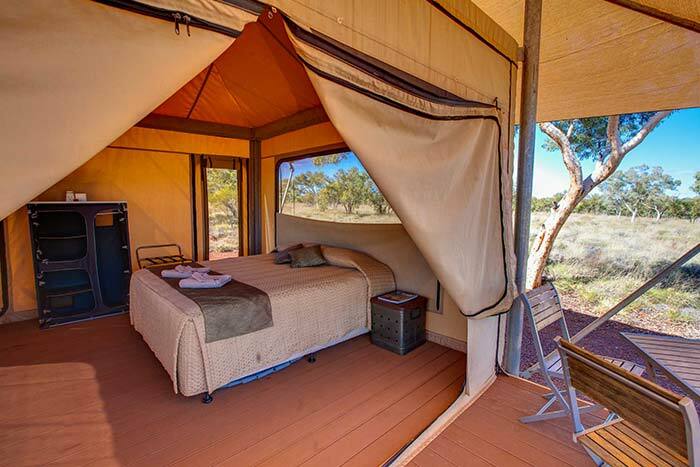 Whether you prefer parking up a caravan on the edge of a rugged cliff or getting chummy with nature during a stay in an eco-bush retreat, WA is home to some seriously adventurous camping experiences. So where to go? Our top camping spots provide a snapshot of some options available for you and your family. 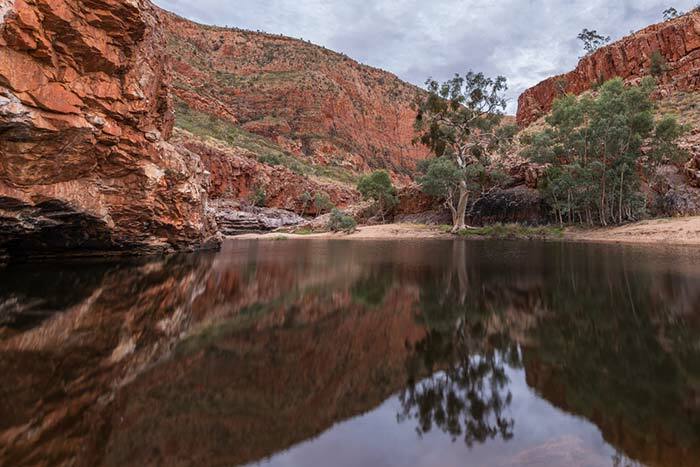 Kooljaman is a remote wilderness camp situated on native title land and quintessentially Kimberley with its rugged landscape and striking wilderness. Fully Indigenous owned and managed, Kooljaman supports the local community and encourages the sharing of traditional culture and knowledge of the land. There’s plenty to keep you and the family entertained including snorkelling, fishing, mud crabbing, scenic flights over the Buccaneer Archipelago, charter boat trips, whale watching and bird spotting. Kooljaman offers a variety of accommodation options – from deluxe safari tents and ensuite cabins to unpowered sites and beach shelters. Switch the iPhone off; it’s time to reconnect with nature! WA’s South West is a popular weekend getaway for Perth folks looking to escape city life. Renting houses or camping near the beach provides plenty of traditional options – but sometimes it’s nice to try something different. 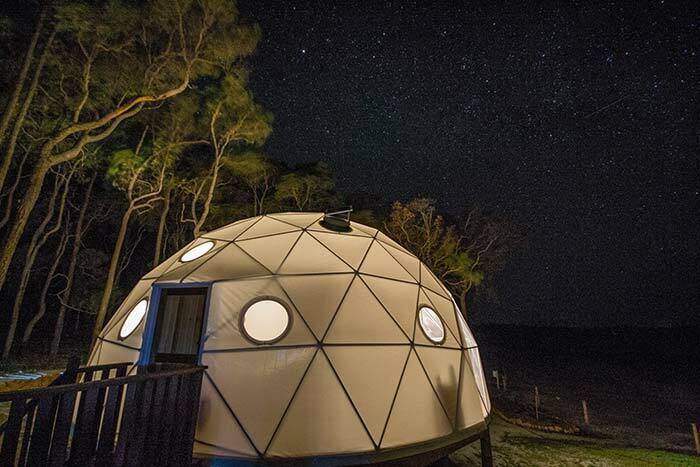 Ever slept in a light-filled geodesic dome? We didn’t think so. Mile End Glamping offers a camping experience with a big difference – sleeping under the stars while surrounded by the modern comforts of a fancy hotel. This South West gem spans 144 acres of stunning native bush with a tranquil river flowing right through the estate. For those looking for something a little extra, Mile End also offers private art classes, massages, personal training and hampers – so leave your tent pegs at home and get glamping! Think you look pretty good in a cowboy hat? Pack your bags for Murchison and let the Pollack family deliver an outback experience to remember. Comprising half a million acres of pure outback, Wooleen Station features a National Trust-listed homestead which doubles as a working cattle station. Get involved in the station activities or just find a hammock and kick back in the bush. Accommodation includes the self-contained earth guest houses and pitched tents or – for a luxurious option – the original 1918 homestead, complete with home-style cooking, a cellar full of Western Australian wines, a billiard room, library and swimming pool. Wooleen Station runs eco-tours detailing the workings of the cattle property, native flora and fauna species, and insights into the local way of life. Giddy up! “David’s passion for the regeneration of native grasses is infectious. Frances is charming, intelligent and excitable; like a character in a novel. Quite unlike any other tourism experience. Highly, highly recommended.” – Google review. This award-winning retreat sits in the heart of the gorgeous Karijini National Park and incorporates eco-friendly practices to ensure environmentally sustainable management of the landscape. Whether you’re chasing peaceful bushwalks or seeking a gorge-fuelled adrenaline fix, the retreat offers tours that include abseiling, climbing and hiking – even floating through the gorges on an inflatable raft! Accommodation includes unpowered campsites, eco tents and cabins – something for all tastes and budgets. 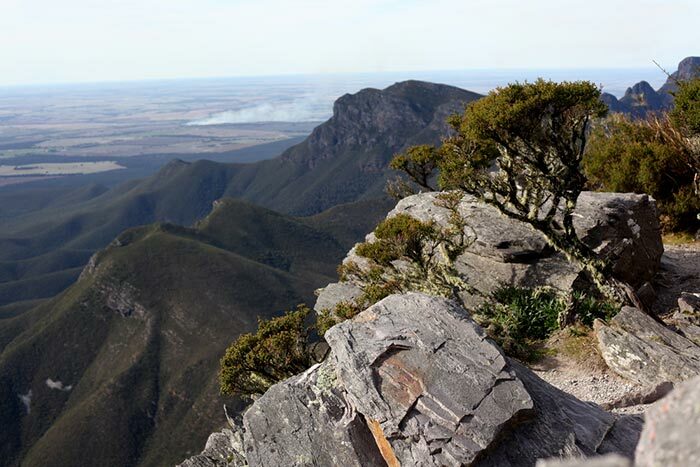 Sitting on the national park boundary, Stirling Range Retreat provides a comfortable base to rest after a day hiking the famous Bluff Knoll. Campers of all preferences are welcome, with the option of traditional caravan and tent areas or cabins, chalets and motel style accommodation. The Stirling Ranges are home to at least 87 endemic plants and incredible displays of wildflowers, so your family will have no problems dancing around mountain tops like a scene from The Sound of Music. It’s hard to find places that feel genuinely unspoiled by tourism or development. Dirk Hartog is one of those special places. 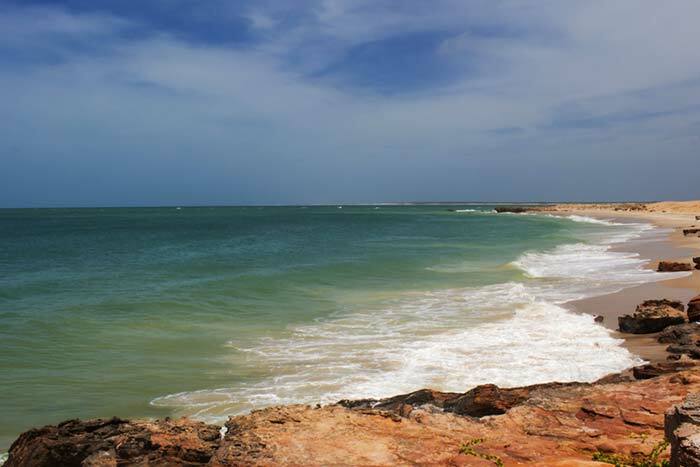 It’s WA’s largest island and takes its name from the Dutch explorer who discovered it off the coast of Shark Bay in 1616. Ever since it’s discovery, tourists have continued to explore and fall in love with the island getaway. Remote and wild, this World Heritage site is renowned for its significant history and dramatic landscape. With few people living on the island, no bitumen roads and a limit to vehicles, it’s a far cry from metro living. The wildlife here is phenomenal and it’s famous for it’s fishing. “I, probably along with most East Coasters, had not heard of this piece of paradise. Now I would say to everybody – put it on your bucket list and put it very near the top”. TripAdvisor. It’s a case of ‘choose your own adventure’ here, you can fly in by light aircraft, float in by boat, or be transported over by the homestead’s barge. Bring your own 4WD and explore the natural wonders that the island has to offer. There are a number of camping spots dotted around the island, otherwise you can stay at the homestead camp grounds or eco lodge. Our Northern Territory is renowned for having some of the clearest skies in the country, which makes it one of Australia’s best locations for star gazing. The Ormiston George is abundant in natural beauty and is ideal for wildlife watching, swimming and hiking. Larapinta Trail is a popular trail among seasoned hikers, extending 223km through central Australia. Wake up to spectacular sunsets, go on a wildlife spotting expedition, visit the near-permanent Ormiston Waterhole for a swim and end the night back at your campsite looking up at starry skies like you’ve never seen before. Bags are packed, GPS is programmed and you think you’re ready – but not until you’ve done your gas safety checks. When you’re in holiday mode, gas is not something you probably worry about too much. But being aware of a few safety precautions will ensure that you keep your family safe this holiday. Use the cooking appliance or stove only for the purpose for which it was designed – cooking, not as a room heater. Regulate the burner to your needs – no flames beyond the edge of the cooking utensil. Dispose of disposable canisters in a safe manner – do not incinerate them. There’s so much to experience in WA – and years of family trips to look forward to – but before you hit the open road make sure you fill up on the essentials. That includes your BBQ Kwik-Gas cylinder from your local Kleenheat supplier!